The RRS Ernest Shackleton was built by Kverner Klevin Leirvik A/S, Norway as the MV Polar Queen for the Norwegian company Rieber Shipping of Bergen in 1995. The British Antarctic Survey acquired the ship in August 1999. The vessel was renamed RRS Ernest Shackleton and registered in the Falkland Islands. Sir Ernest Shackleton, the famed polar explorer, brought all his men to safety when his ship Endurance was crushed in the ice. The epic journey from the Weddell Sea to South Georgia remains one of the legendary tales of survival. 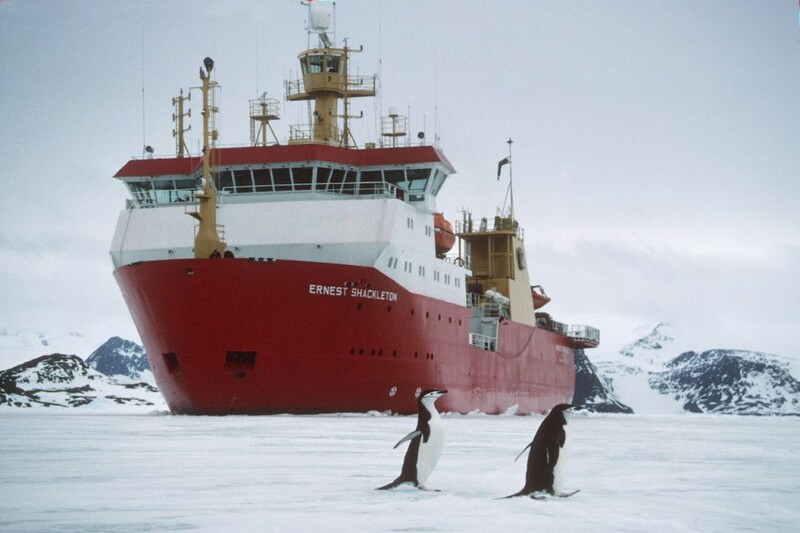 RRS Ernest Shackleton is primarily as a logistics ship, used for resupply of the Survey’s stations. The vessel is ice strengthened and capable of a wide range of tasks as well as having a scientific capability. As you are currently onboard RRS Ernest Shackleton, why not take the tour? ?